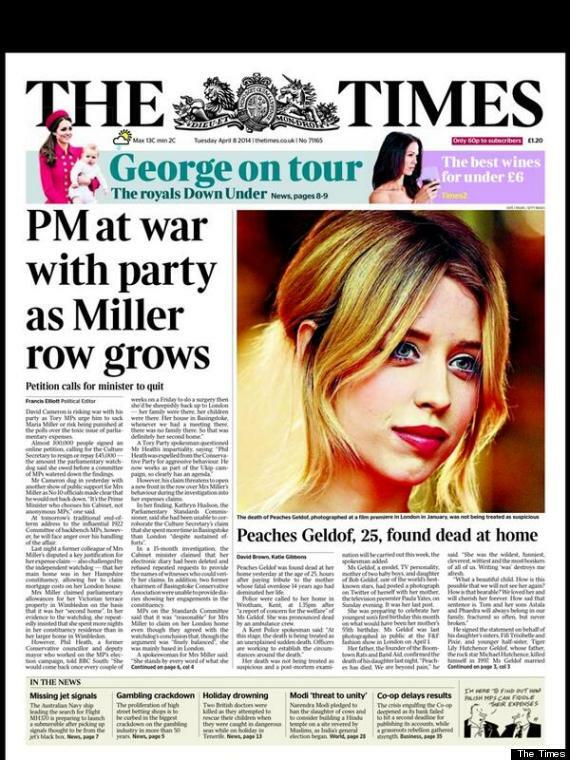 Home Pop Culture Peaches Geldof UK headlines. Are they over the top? 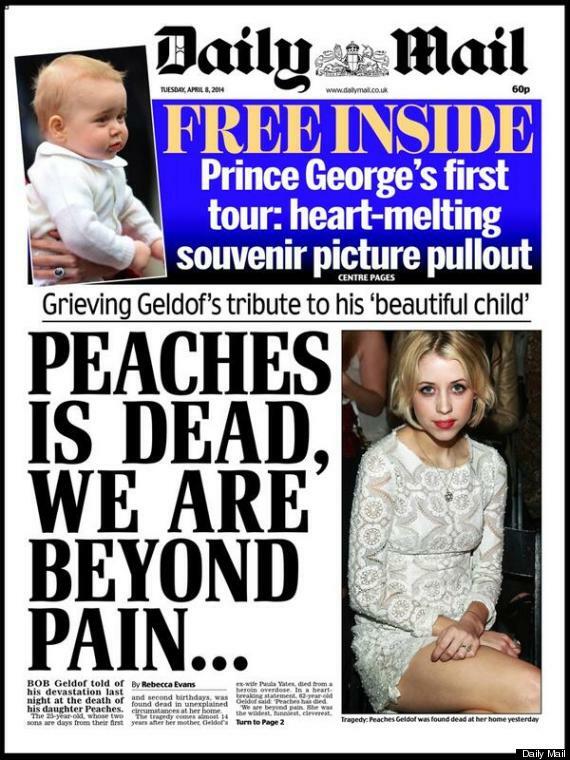 Has the UK media gone overboard in its coverage of the death of Peaches Geldof? It seems the UK media are having a field day with the passing of British socialite, Peaches Geldof as they have tried to outdo each other in the most sensational headline to boost sales and intrigue. 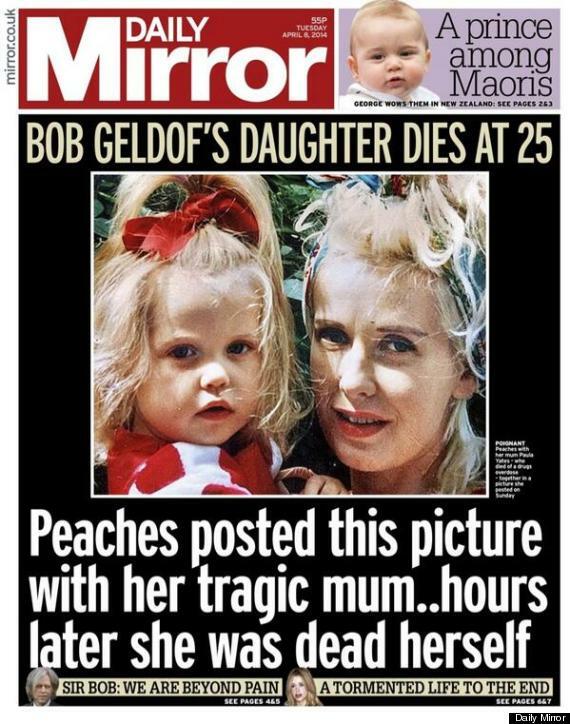 But it’s the Metro headline: ‘Peaches Geldof and Paula Yates Together Again,’ that has prompted the most outrage as readers have voiced their disgust at the outlet’s seemingly insensitivity. 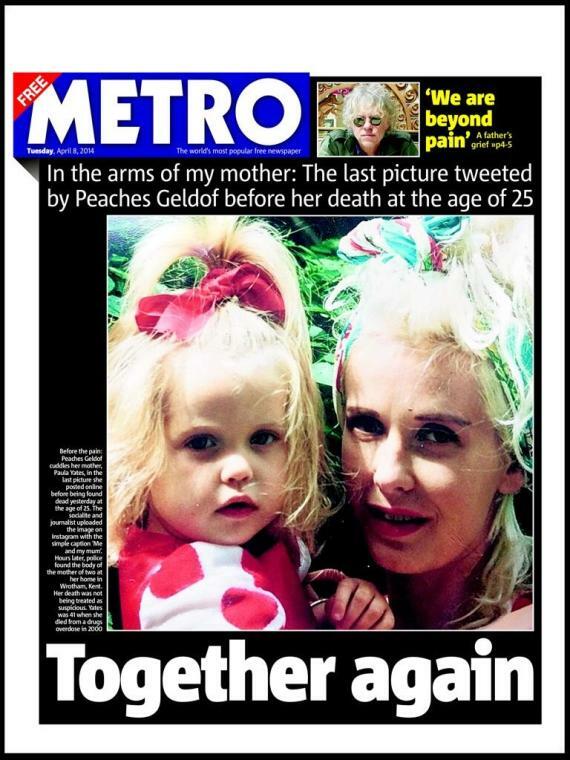 Writes huffpo.uk: Politicians and public figures have blasted Metro newspaper for its front page headline saying Peaches Geldof, who died suddenly on Monday, and her mother Paula Yates were “together again”. 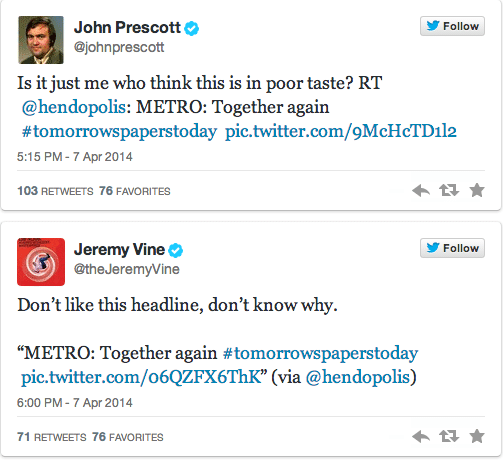 Former Deputy Prime Minister John Prescott was among those who took to Twitter to deride the daily paper’s headline as bad taste. Others have also gone to social media to express their displeasure with the outlet’s headlines. The Sun, with seven pages, devoted most space to the story. But its main articles were readable and, in the circumstances, reasonable pieces of work. It stuck, in the main, to facts. Ironically this author (based in NYC) was in the midst in penning a note as to his own thoughts about feeling like a scavenger picking up on the torn up life of the British socialite, an occupational hazard of every tabloid writer and outlet. Perhaps it’s no irony the socialite who came to live a harried existence as a result of the media’s intrigue in her family namesake, in front of it, in a series of painful faux pas and then finally beyond it as she was in the end unable to reconcile with the public persona she was asked to replicate and the private one she desperately sought to live. Reflected poignantly the guardian: Inevitably, we are bound to ask why a 25-year-old woman should engender so much coverage. What is it about our 2014 news values that dictated such a response? Yes, celebrity, is at its heart. It is also the case that when people die young and unexpectedly the uniqueness of the event affects the coverage. But when we stand back from this in, say, a year’s time, it is highly likely that we journalists will reflect on whether the media response was over the top. Below are a sampling of other media headlines, see what you think. Have we in the media gone over the top?